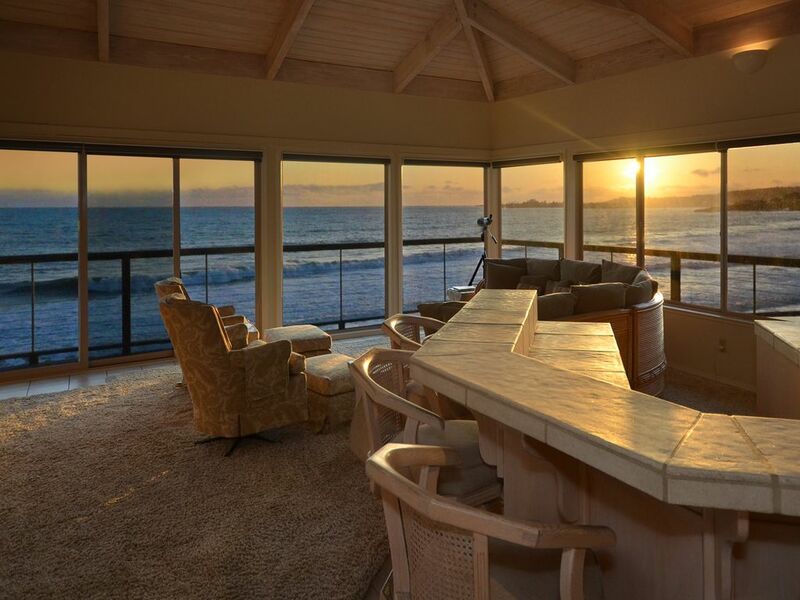 Outstanding oceanfront flat with unsurpassed views of surf, sunsets, and city lights. Spend your vacation right on the beach at Villa Vista with family and friends and you'll create memories that will last a lifetime. Click on All My Rental Listings link below location to view. Units can be rented together. Please contact me with questions. Inquiries are replied to daily. Unit is 3 bedrooms/3 baths and sleeps 6 people. Includes linens, beach towels and departure cleaning. Instant rates are approximate. Please check with manager for exact pricing. Central location! Walk 50 feet from the front door and you're on the beach. Bike or walk a few blocks south and you're on the beautiful bluffs above Pleasure Point, a popular oceanfront trail overlooking world class surfing, accessing coves and tide pools or just people watching. You'll certainly see surfers but, quite possibly, a pod of dolphins, a family of sea otters, or, perhaps, migrating whales making their annual journey. More adventurous souls can surf (or take a lesson), skin or scuba dive, kayak, stand-up paddle board or just explore the area, picnic or ride bikes. Within a 5-10 minute drive (or a 15 minute bike ride), you are at the famous Santa Cruz Beach Boardwalk, the quaint beach side resort of Capitola Village or downtown Santa Cruz's Pacific Avenue, home of boutique shops, restaurants and world-class entertainment. Spectacular view of surf, sunsets, surfers, and just plain happy people on the beach. Stainless steel, european, quiet, huge capacity. Garbage disposal, keep hot lights, hot tray, toaster, blender, mixer, coffee maker. Owner Maintained and Managed for 25 years.